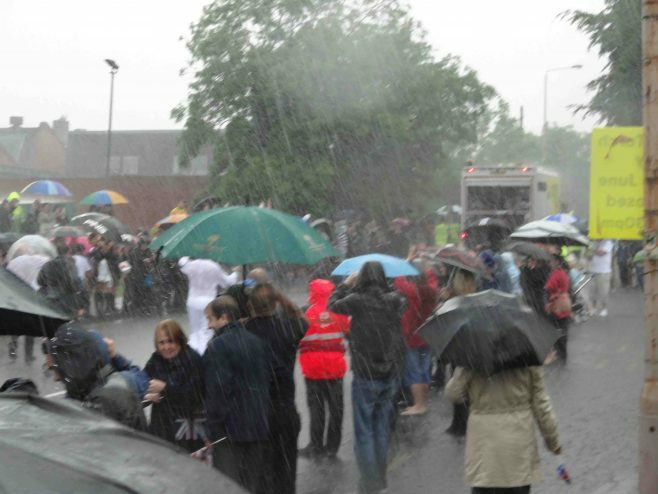 These photographs were taken around midday on the 28th June 2012 at the junction of Old Mill Lane and Leeming Lane South, Mansfield Woodhouse. 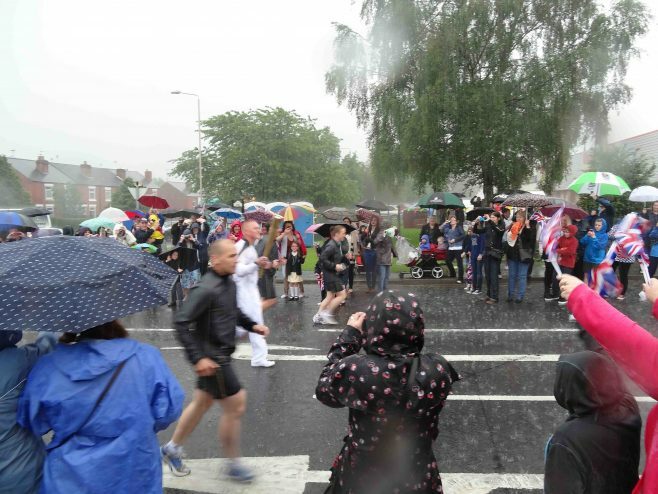 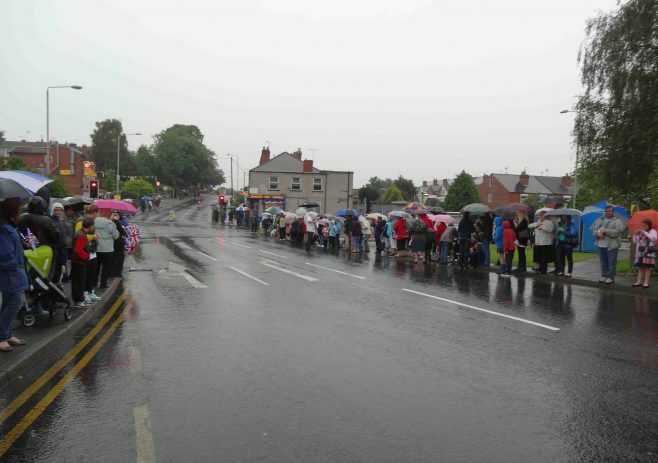 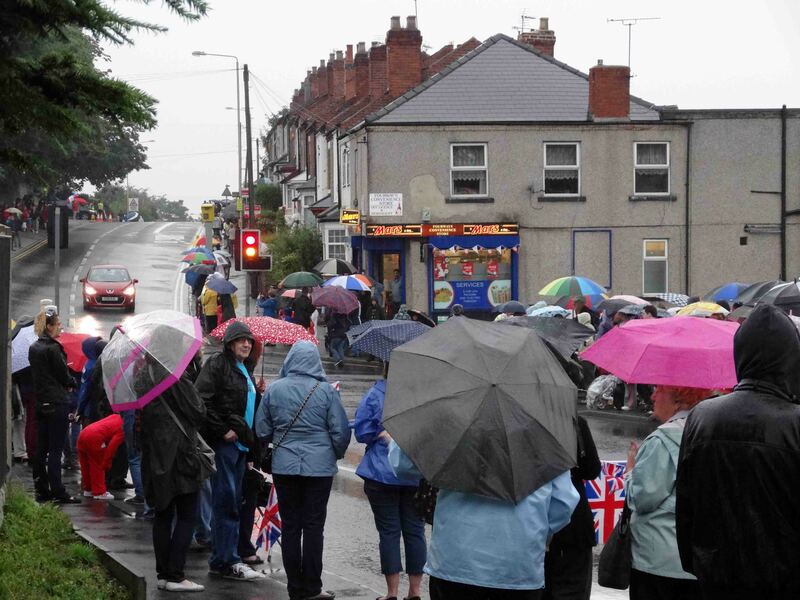 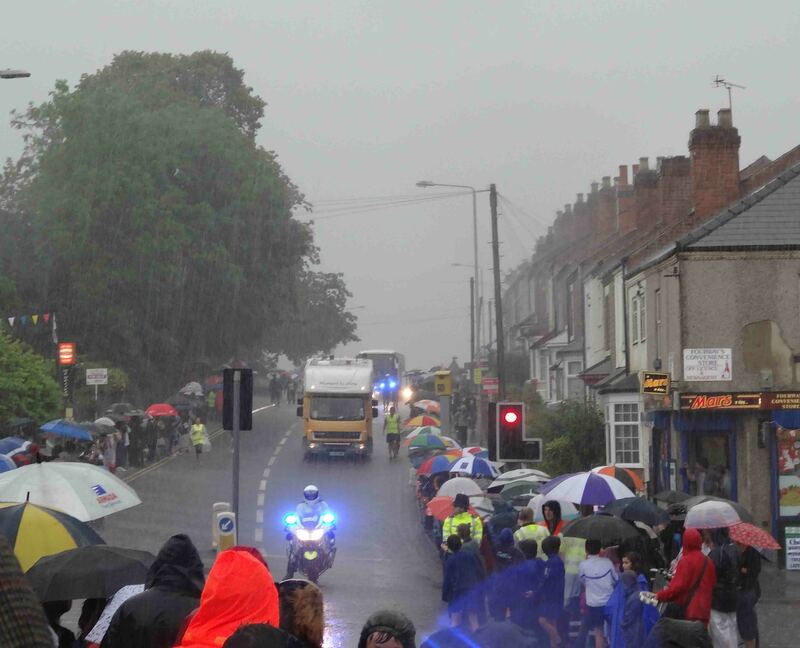 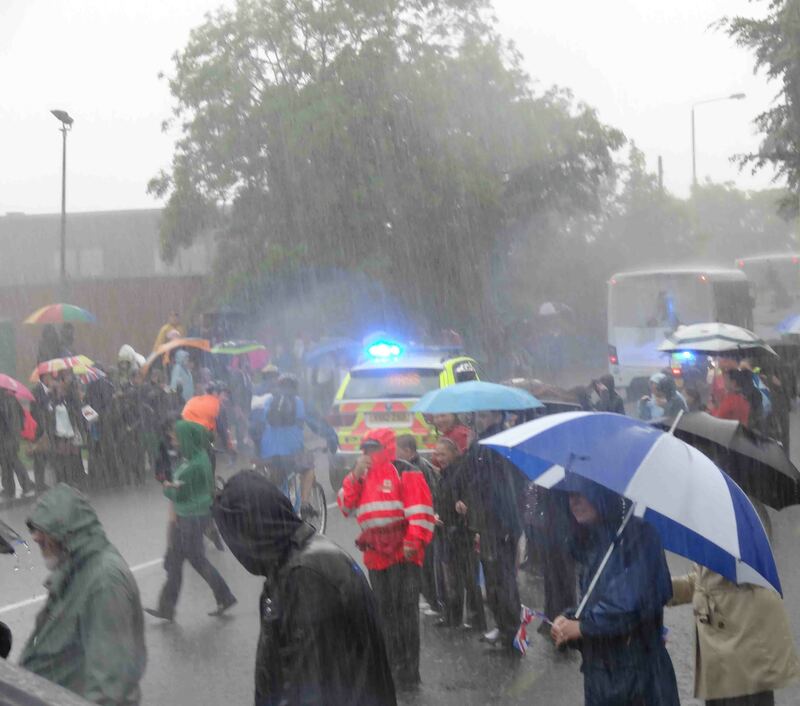 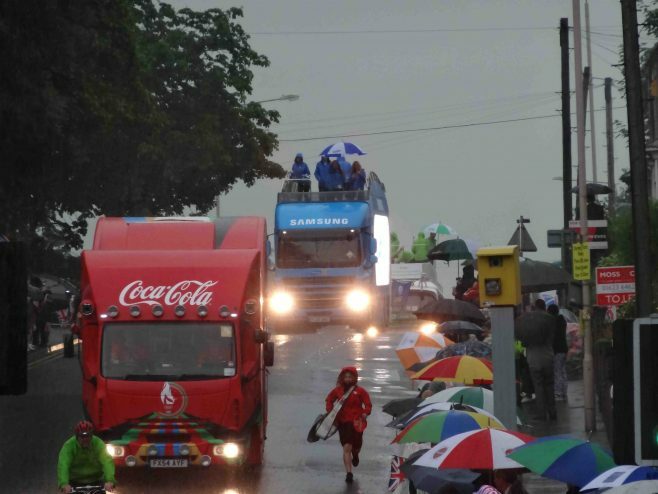 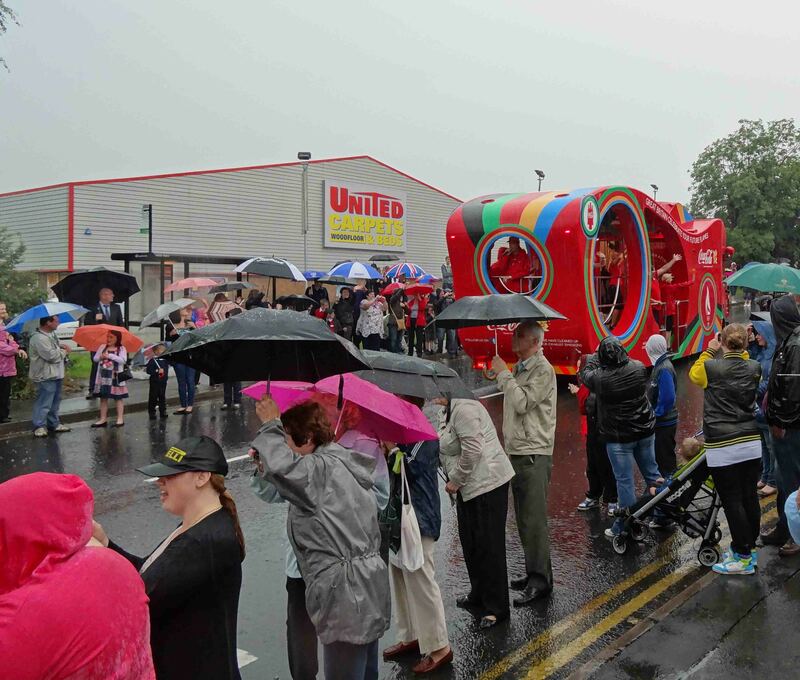 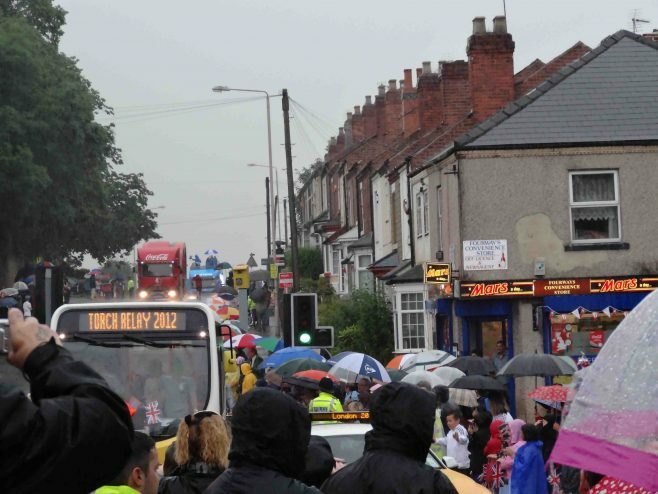 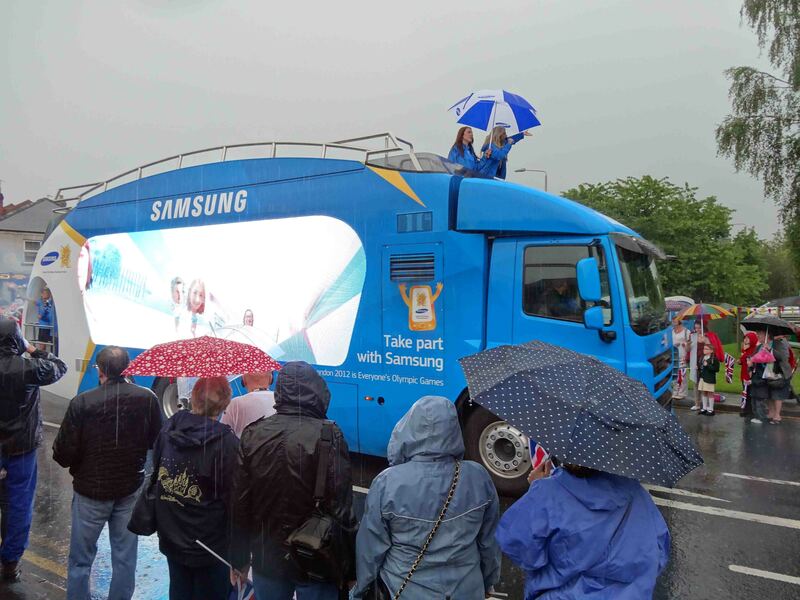 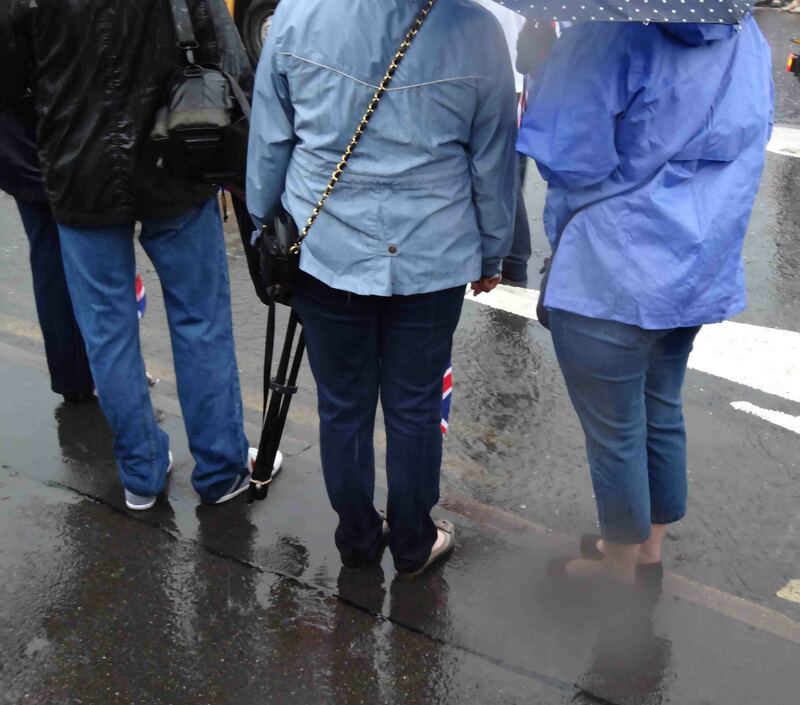 Hundreds of people were there to see the Olympic Torch relay, and the heavy rain, thunder and lightening did not deter them/us. The atmosphere was wonderful and there was much excitement as the cavalcade of police, buses, and promotional vehicles came past with sirens or horns blowing and music playing. 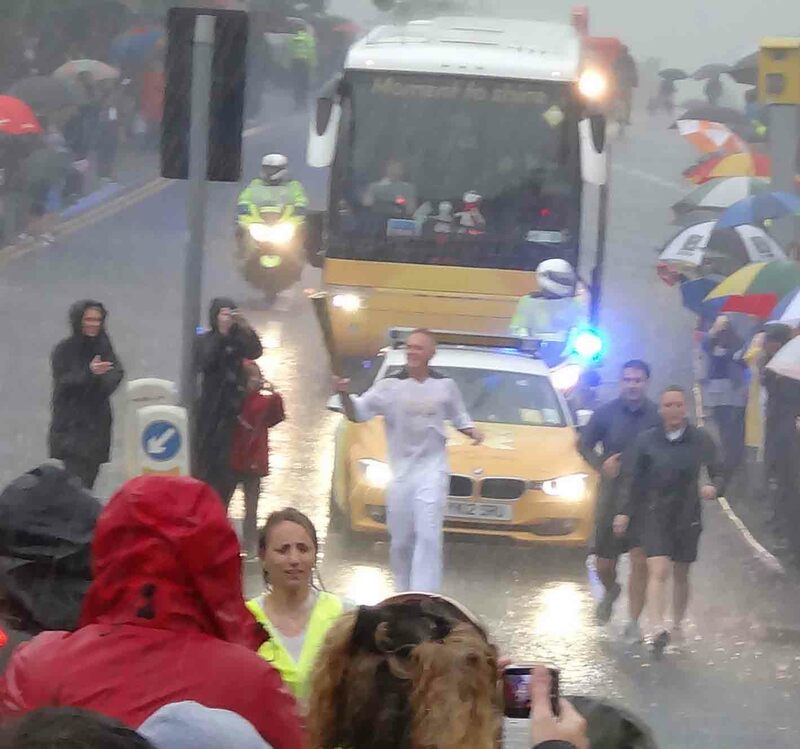 The first sight of the torch bearer was wonderful and there were cheers all around. 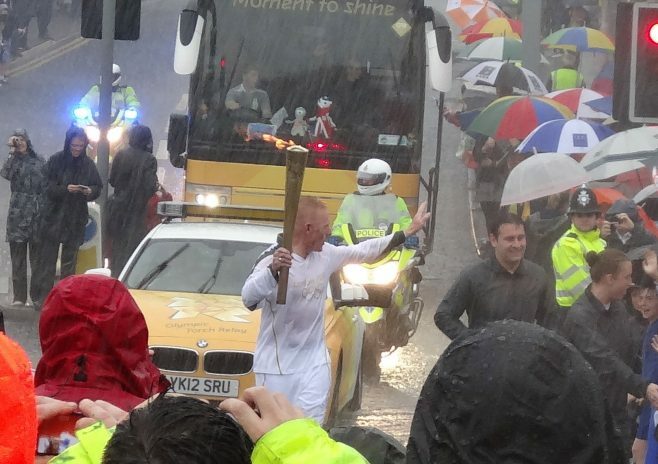 Truly a moment to remember. 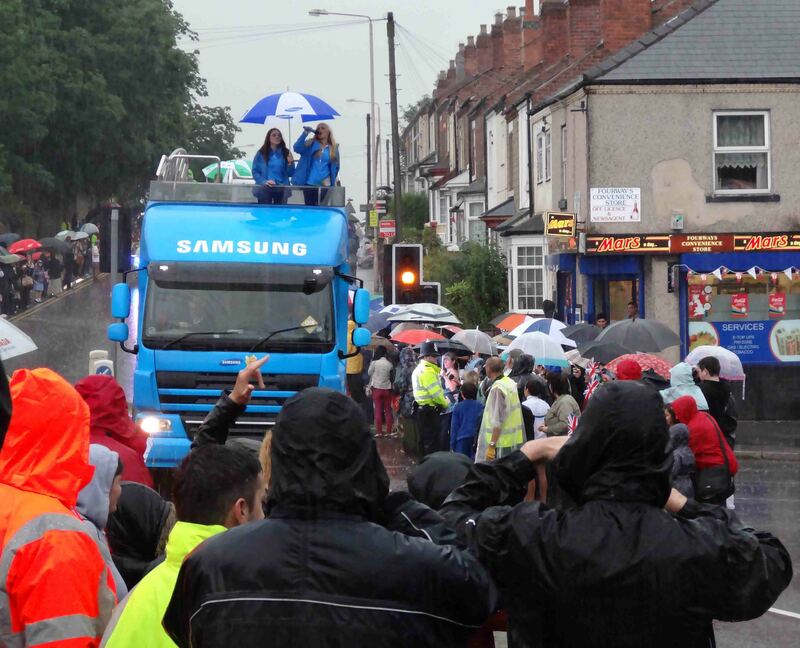 Once the cavalcade had passed, wet and happy people departed and all that was left was puddles. 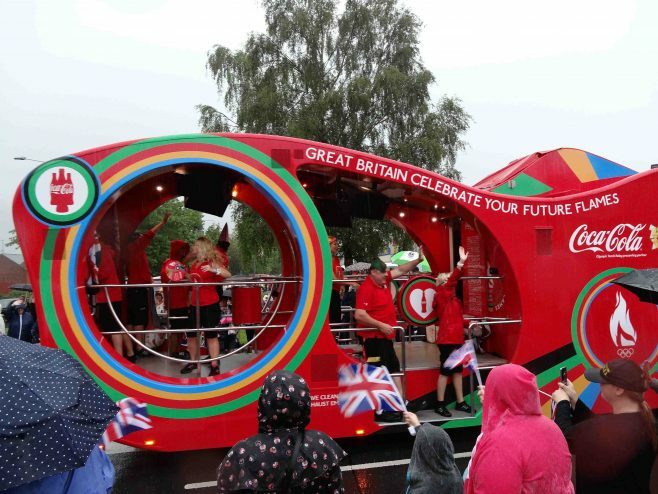 As one who can remember the Olympic Games from 1948, I can honestly say the London Olympic Games of 2012 have been the best games ever held anywhere in the world…I cannot praise the organizers enough for the wonderful job they have done…The B.B.C. 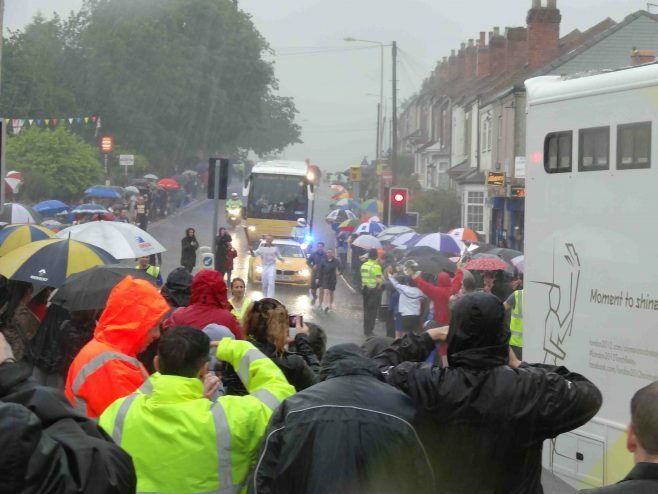 For the cover they gave to the world…The games and performances of the competitors have been extraordinary.Well done to all concerned, Great Britain have set a bench mark that will be difficult to follow…… Great Britain……We are PROUD OF YOU ! 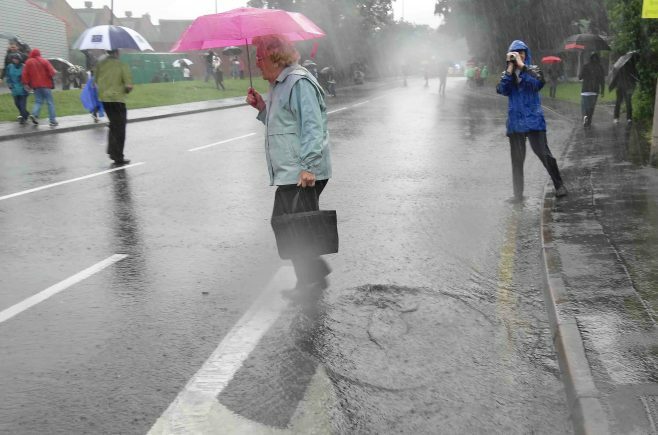 ….Well Done.